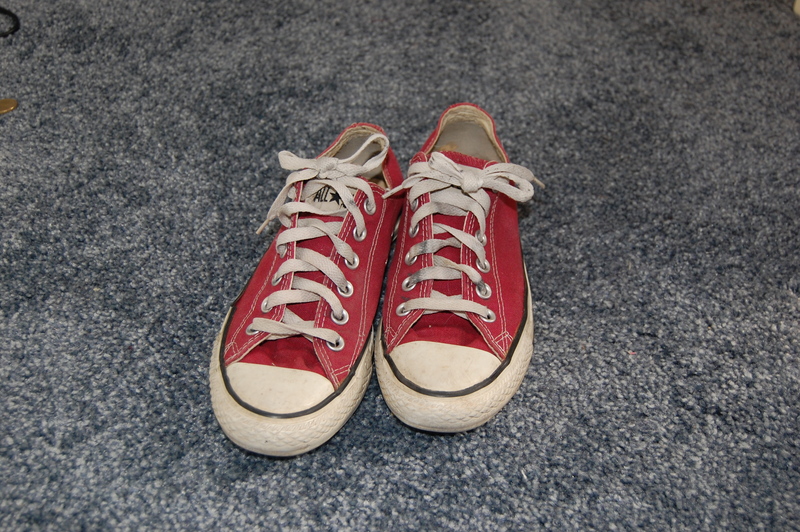 Today I’ll be going through my most loved and worn shoes…and when I say shoes I mean trainers. My style has always been super comfy and super casual so over the years I’ve been building up a little collection of trainers. As I’ve always been a lover of the alternative and fringe worlds of rock music and extreme sports I’ve always lusted after Converse and Vans trainers. I remember getting my first pair of Vans when I was about 12 and wearing them to death until they nearly fell apart and my mum forced me to throw away. I just loved them so much they symbolised everything I loved; style, rebellion, a life outside the norm. Bearing in ind this was years before Vans and Converse became mainstream fashion items, this was when wearing Vans or Converse or Superga etc was a statement that you were a skater kid or a punk kid or a surfer kid. These brands meant a lot to me growing up and they still do and that’s why I will in all probability be 80s years rocking some Vans Sk8 His. 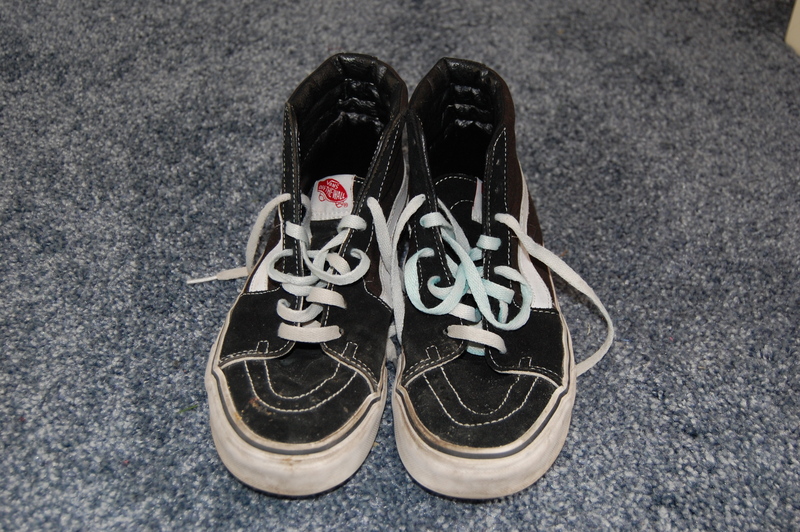 So I’ve picked out some of my favourite, most worn shoes and beaten up shoes. I’ll start with my newbies. By far the cleanest in my collection because I’ve only had them for a few months. 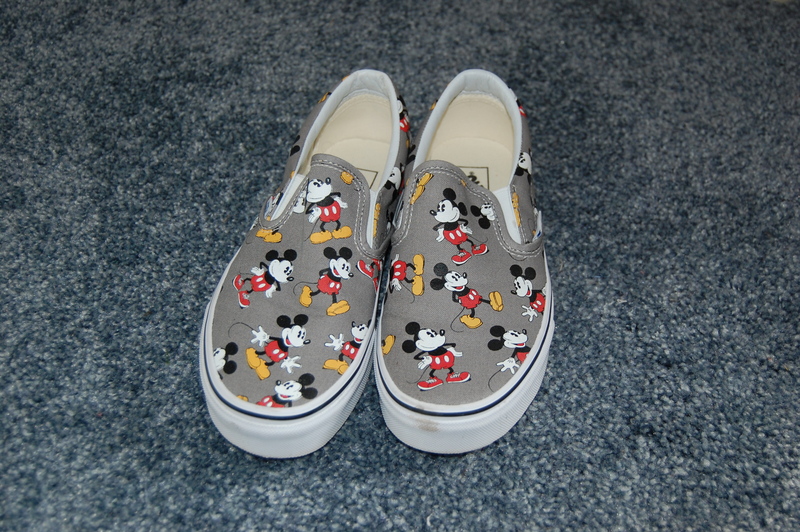 But when I found out Vans were doing a Disney collection I knew I had to have a pair. The universe decided to combine two of my favourite things in the world so I treated myself to the mickey Mouse pair and have no regrets what so ever. My favourite summer shoes. 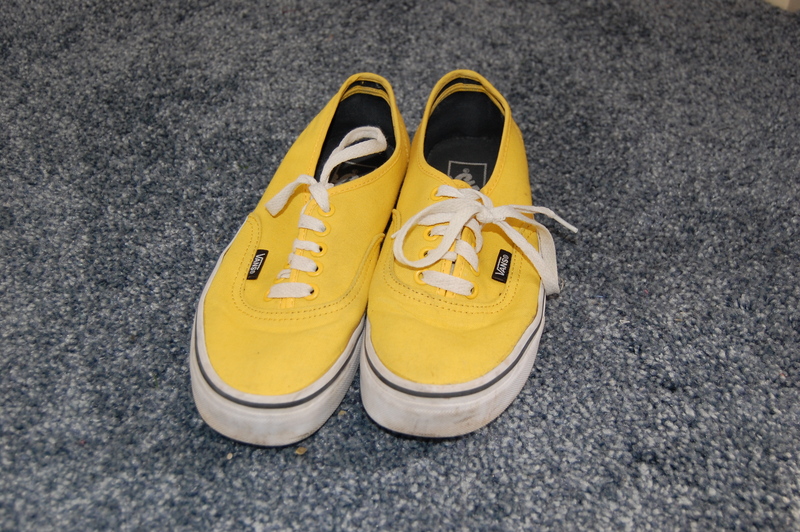 These were a birthday present to myself one year as yellow is my favourite colour. Obviously I do wear them all year but during the summer they don’t spend a lot of time not on my feet. My first ever pair of Converse, I’ve had these bad boys for about 5/6 years. I got them whilst at university and wore them solid for most of the 3 years I was at university and they’r still going strong. My only pair of high tops…for now. I absolutely love the look of these, especially with slightly rolled up jeans or dresses. For me adding these high tops to a dress just completely dresses down the whole outfit and makes it more casual, which I love. These are some of my most versatile shoes. They go perfectly with everything from jeans to shorts to skirts and dresses. I love them as alternative to black when wearing a mainly black outfit or when I think ‘this outfit needs black shoes’ I try these and its just a little bit different…but good. So that’s some of my most cherished trainers and I truly love them and wear them to death. 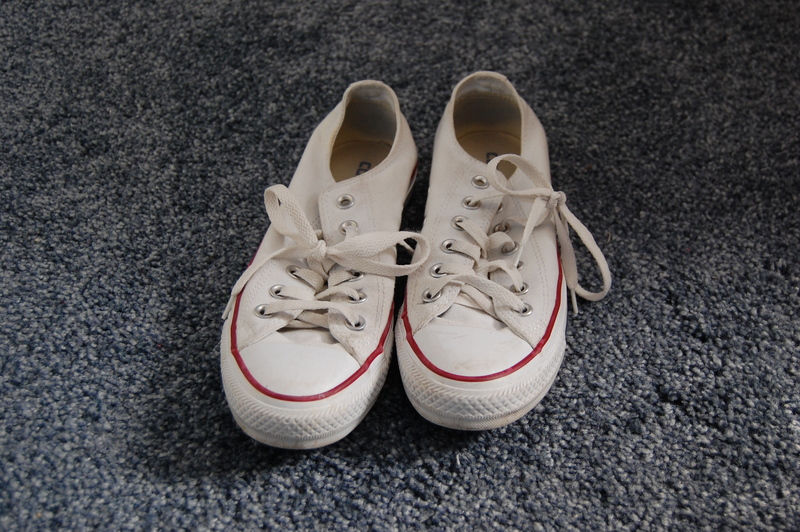 In fact I’ll be wearing my white converse with my outfit today. DISCLAIMER: All these were bought with my own money or were presents.